They say that a picture is worth a thousand words but if you’re a marketer, you want your imaging to generate thousands of dollars, not just words. Good images attract audiences’ focus. Content is king, but content refers to more than just written words. Your most compelling content can come in the form of blogs, status updates, videos, photos, podcasts, and more. In fact, a 2018 report from Social Media Examiner states that 32% of marketers believe visual images are the most important element in driving traffic to their businesses (24% felt videos were the most important). Additionally, social media content that include photos is ten times more likely to generate audience engagement than content without images. Our brains are wired to react to images, color, and diversity – in other words, we’re not as attracted to just text. And everyone, including your audience, is busy – their attention is being pulled to different things, constantly. Using images in your content is a simple yet effective way to grab your audience’s attention without demanding it. Make sure the images you choose bring value to your brand, accurately reflect your product, service, or campaign, and immediately tell your followers what your story is. When using an image, it’s important to remember that your photo or design should reflect your brand’s message in case your audience members don’t bother to read the accompanying text (but hopefully they do). If you want to show how happy customers are because of your product, your photos must reflect this. Or if you want to post an inspirational quote, make the background awe-inspiring. Pro tip: A powerful way you can reach your target audience is by striking an emotional chord. 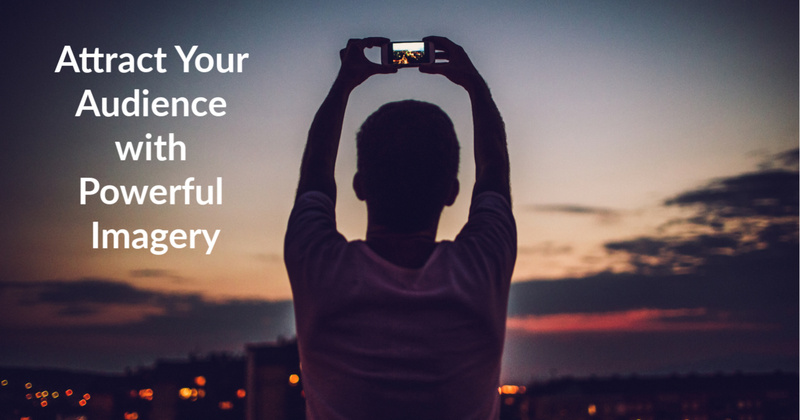 If you want users to feel joy, your imagery should evoke happiness. If you want them to feel empowered, use an image that conveys strength. Unless it goes against your branding, use pops of color to catch your audience’s eye. You’ll capture their attention and make them curious about what it is you have to offer. We don’t live in a monochromatic world and social media doesn’t operate in one either. So what can you do to ensure that your followers will take a second look at your products and services? Be creative with your content. Make sure that each post is unique and original – remember, you’re not just limited to photos. Depending on the product you are trying to sell, you can create how-to images, post motivational quotes, use graphs and infographics, Boomerangs, or posts that encourage user engagement, such as posts that ask followers to caption your photos. Get in touch with Social Spice Media today to learn more about how we drive sales and create more meaningful connections with your customer base through brand development. We look forward to getting to know you and starting a campaign to advance your marketing goals.